Since its founding, A.A. has survived as an ever-more-structured fellowship, but changes have occurred in its program. 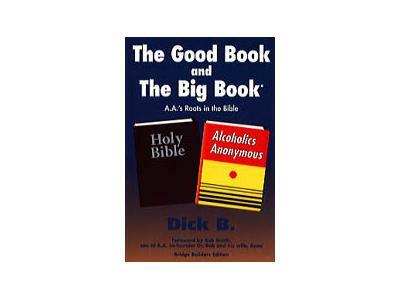 Its co-founders organized their “Christian fellowship” and set out with a mission to offer a cure for alcoholism involving reliance of God to all the alcoholics in the world. And early literature and news accounts document the simple, effective plan to move drunks from hopelessness to hope. We will show you the tools that can help you trace the changes. Let's review the epochs of A.A. The first three AAs got sober as believing Christians who turned to God for help and then vowed to help others. By November 1937, about 40 members had been sober for varying lengths of time. The highly-successful, "old" program is found in DR. BOB and the Good Oldtimers on page 131. Bill W.'s story and the 29 other personal stories in the first edition of the Big Book (1939) discuss following that path. Around the summer or fall of 1938, Bill W. wrote "the new version of the program" that ended up in the front of the first edition. He expanded six "word-of-mouth ideas" vaguely resembling some Oxford Group ideas into 12 Steps. Bill claimed his program's three main sources were: Dr. William D. Silkworth; Professor William James, and the Oxford Group's life-changing program as Bill put it together in conference with Rev. Sam Shoemaker. Bill's "new version of the program" was very different from that described by the pioneers in their stories. Although many in A.A. today say that talking about Jesus or the Bible is inappropriate in a meeting, their claims contradict A.A.'s own history. Pages 1-164 of the fourth edition of “the Big Book” still contain 135 occurrences of the word “God." Those pages also point to the “solution" (p. 25).